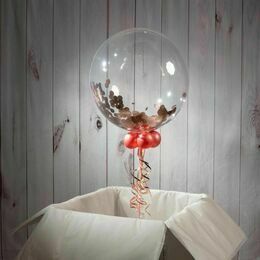 If you're planning a 'Welcome Home' party for a friend or family member, this balloon is a lovely added extra both as a gift and a decoration. 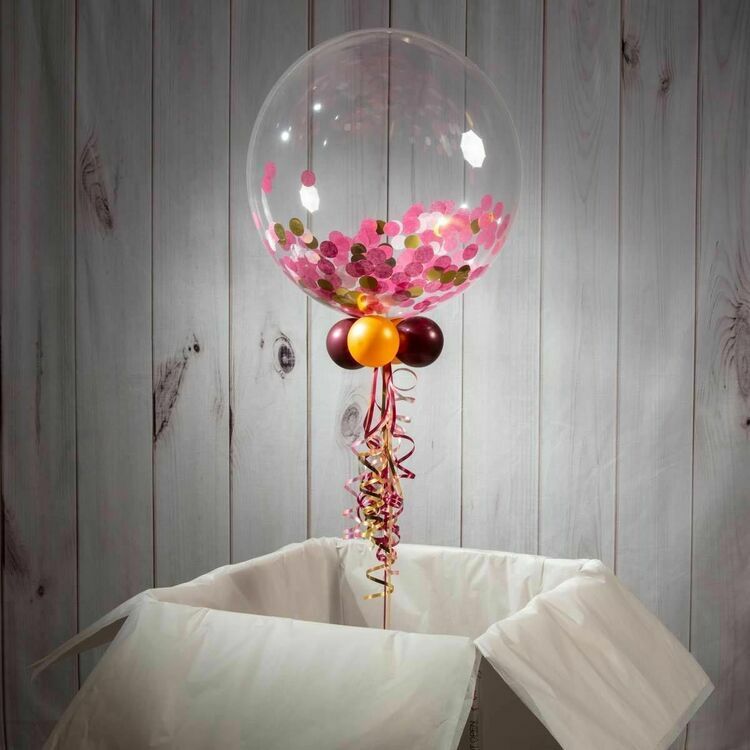 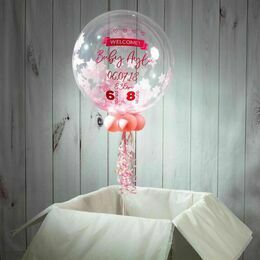 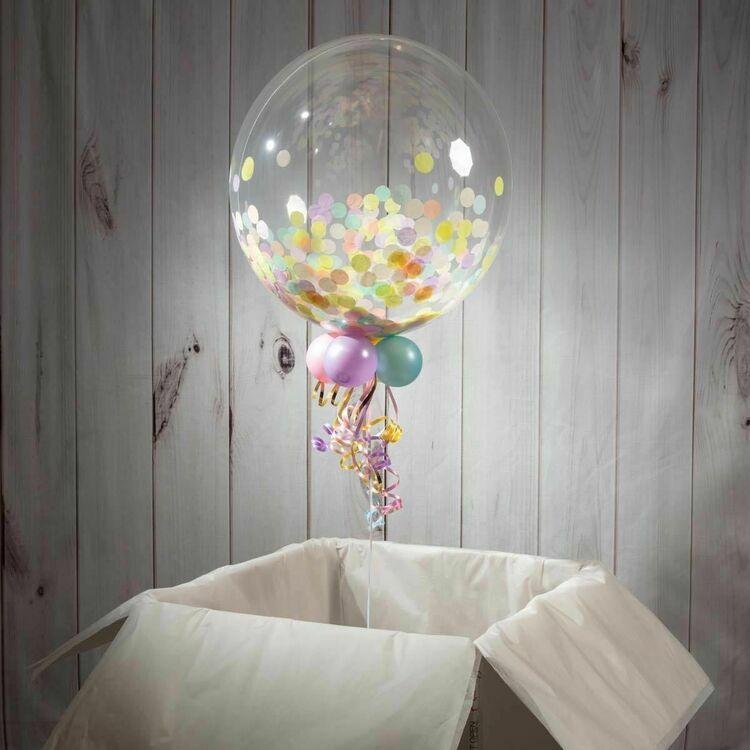 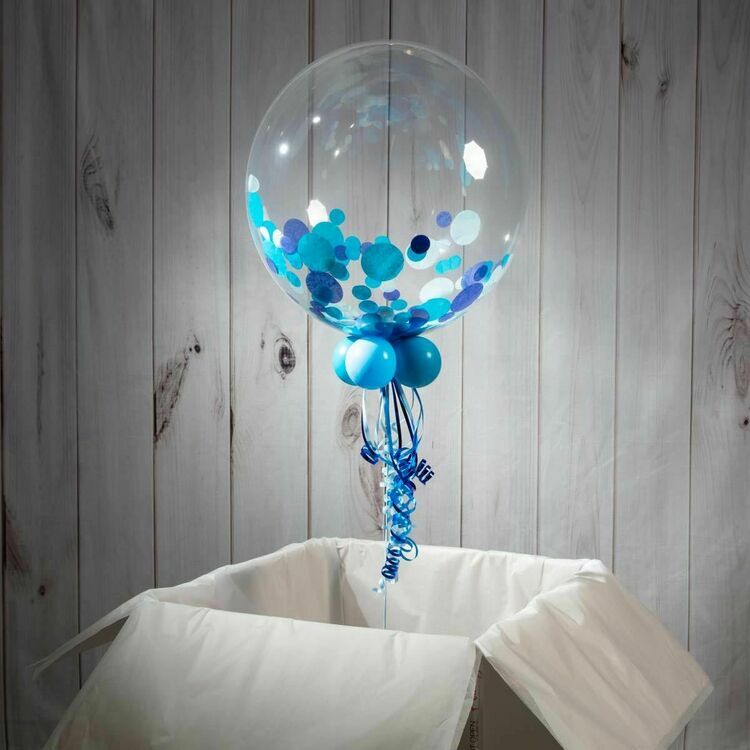 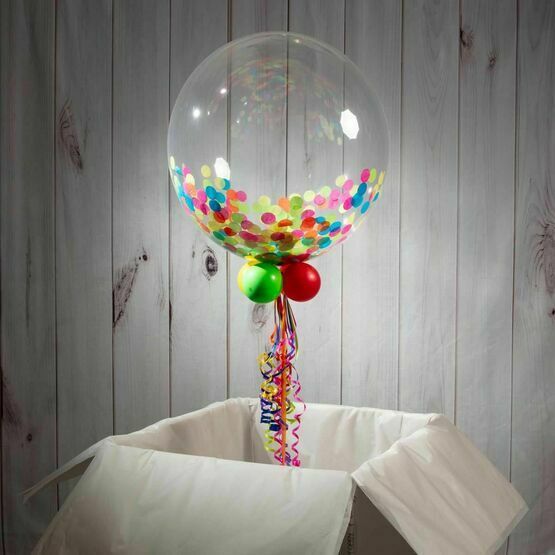 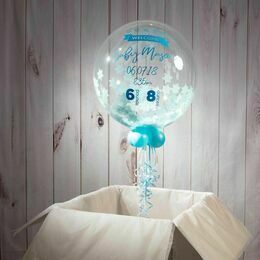 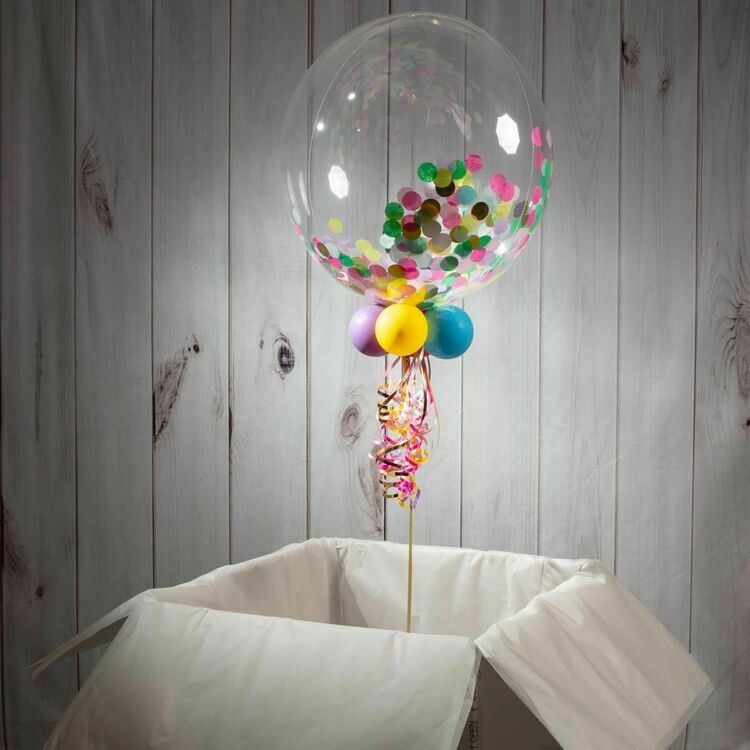 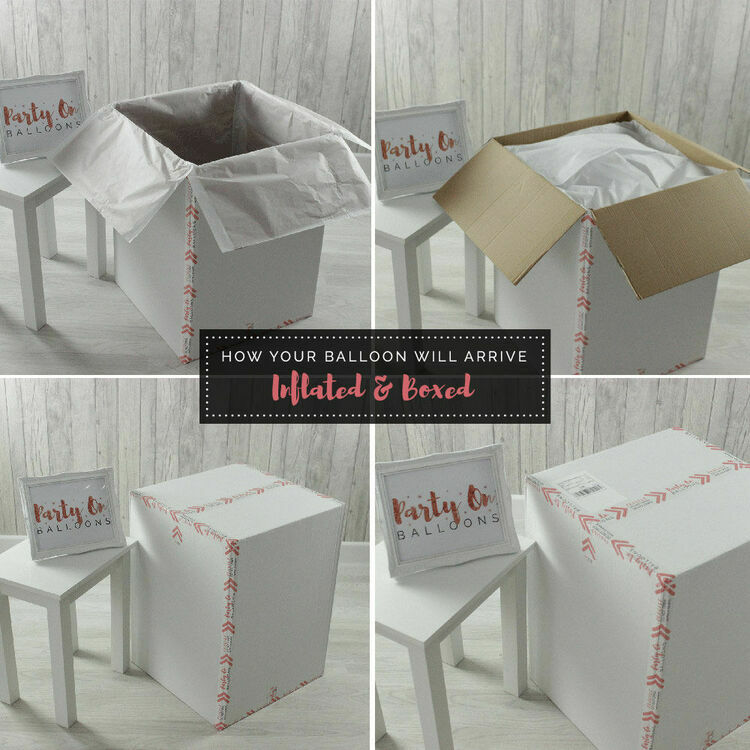 Inside the clear outer balloon we add confetti in the colour of your choice, and you can add your own personalised message on the outside. 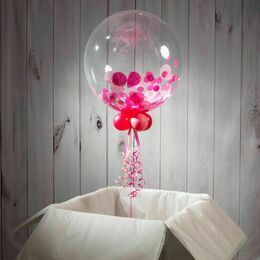 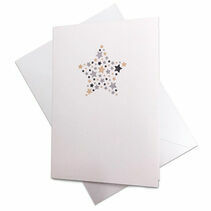 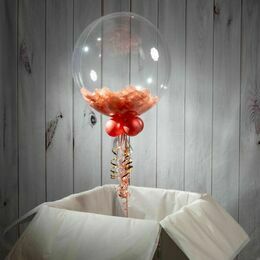 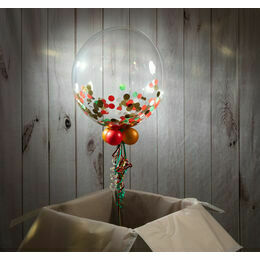 To finish the look, four small balloons are added to the base along with co-ordinated ribbons and a weight.